Produced by Bilcock & Copping Films Pty. Ltd. 1970. Director: Tim Burstall. Theme: Hans Poulsen. 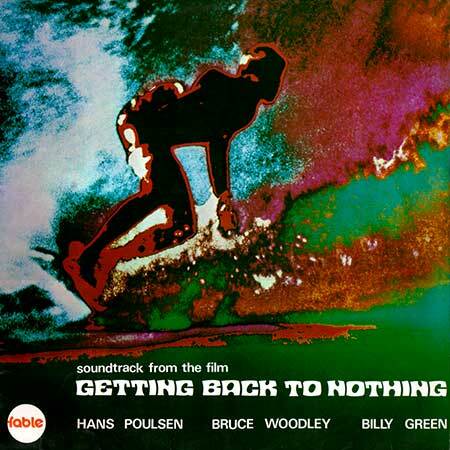 (A 16mm 52min film, made for television, dealing with the 1970 World Surfing Championships held at Bell's Beach, Victoria). LP (ST) Fable. FBSA-005. 1970. Recorded at the studios of Bill Armstrong. Pty. Ltd.
Getting Back To Nothing. (Hans Poulsen). (Angle). Double Stroke. (Billy Green). (Essex). No Surf Blues. (Bruce Woodley). (Belinda). Bell's Beach Stomp. (Billy Green). (Essex). Setting The Tempos. (Bruce Woodley). (Belinda). The Crowd At Bell's. (Billy Green). (Essex). Surf's Up. (Hans Poulsen). (Angle). Soul Surfing. (Billy Green). (Essex). Pa's Song. (Bruce Woodley). (Belinda). Bomb Out Baby. (Hans Poulsen). (Angle). Noise Of The Tube. (Bruce Woodley). (Belinda). (Reprise) Getting Back To Nothing. (Hans Poulsen). (Angle).